So, Mining & Management Consultancy? Perhaps we are in the same LinkedIn group? Maybe he is a recruiter in a mining consultancy firm? 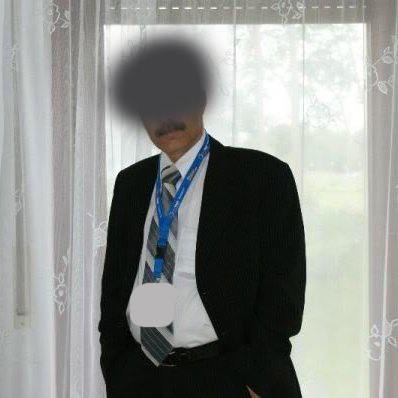 Without reading too much into the motives for the invitation (or even viewing his full profile on LinkedIn), I clicked on the "Accept" button. 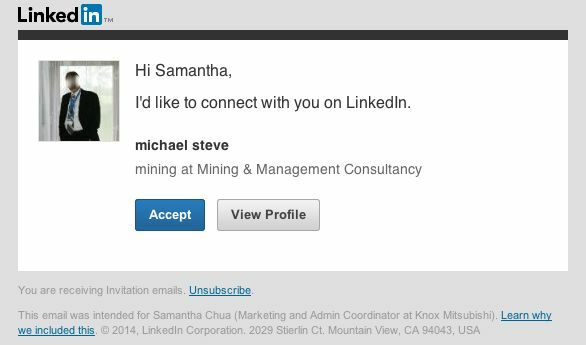 Perhaps Steve, or Michael here has mistaken LinkedIn for Tinder, RSVP or OK Cupid. But at this point, alarm bells are going off in my head. This man has sent the email above to a dozen or so women, and I am aware of that because he did not conceal all recipients' email addresses. Furthermore, what is his motive? I feel like my privacy has been compromised. DEFINITELY. NOT. THE. SAME. MAN. That is some spooky/ creepy stuff there. By now it is clear that this is not a case of a lonely man seeking love. This is quite possibly a scam email. As it is my first time receiving an email as such, I am quite shocked to see that LinkedIn, like all other social media and much of the digital word, have succumbed to the hands of scammers. But this is a lesson learned, perhaps to treat LinkedIn the way I do Facebook and be more wary of who I connect with. Have you had experience with internet scammers? Ah, the neverending level of creepiness you can experience over the internet. Honestly, I get messages on social networks all day long from weird guys, most use fake pictures and although it says 500 times on all my profiles that they are for work only, no one seems to get the message. I read about this website recently that actually pays girls per message to chat with men. My first reaction was like wtf???!! But now that I think about it, maybe it's really a good thing. Because no one should be harassed with these creepy emails while they work (even if its online) and it's nice that there is now a designated place for them!! But, that's the Internet for you..